Vinyl is fun—you gotta love edges that don't fray! I'm pondering a couple projects, and in the meantime Googled to see what other people have been up to. If you're into synthetics, check out these tutorials explaining how to make your own vinyl goodies. 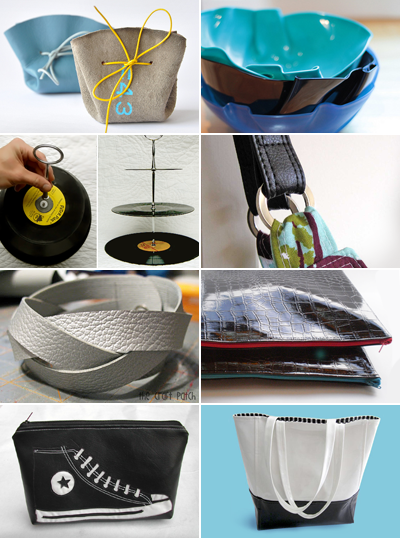 You have read this article sewing / tutorials with the title DIY projects using vinyl. You can bookmark this page URL http://jenkrebs.blogspot.com/2012/04/diy-projects-using-vinyl.html. Thanks! No comment for "DIY projects using vinyl"